Each year we are invited by Dorset Historic Motor Club to join them at their club night for a light-hearted skittles match. This year I am pleased to report that we were the winners by a margin of 29 pins. This followed three years of poor results, loosing by 3, 9 and 33 pins respectively. This is always a good night out with another very friendly club and no matter what your skill level is we still enjoy the game. Our thanks to the members of DHMC for inviting us and my thanks the the members of 1020 who turned up and represented our club. 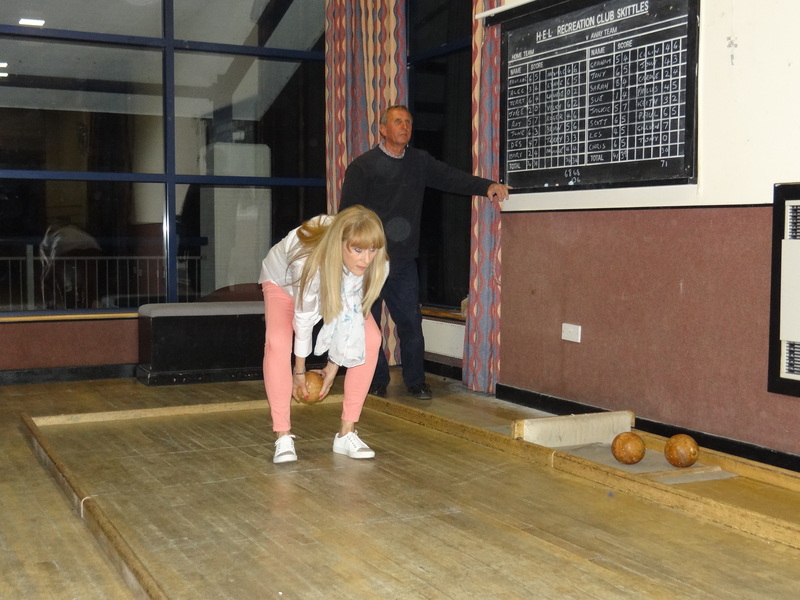 Top scorer was Gillian Hales who claimed a total of 19 skittles, two more than anyone else.